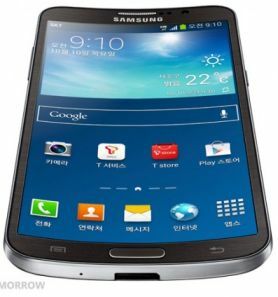 Samsung has unveiled Samsung Galaxy Round, the world’s first smartphone with curved display. 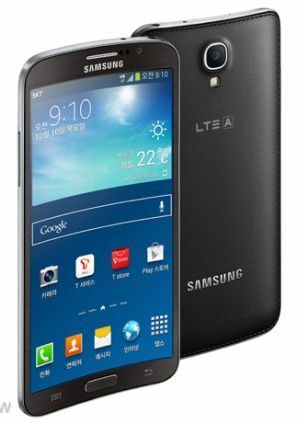 The Galaxy Round features 5.7-inch Super AMOLED flexible display wth Full HD resolution of 1920x1080 pixels. Galaxy Round has 7.9 mm thickness and weighs 154 grams and the other features are similar to Galaxy Note 3. The back cover features a leather-and-stitch-inspired design like the GALAXY Note 3. Samsung Galaxy Round runs on Android 4.3 Jelly Bean operating system and it is powered by 2.3 GHz Snapdragon 800 quad-core processor with 3 GB of RAM. The phone features 13 megapixel rear camera with 2 MP front facing camera. The phone comes with 32 GB of inbuilt memory and it packed with 2800 mAh battery. 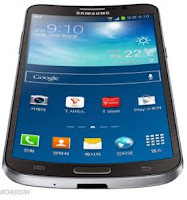 Galaxy Round has some unique features to utilize the curved display are below. •	Side Mirror - enables users to gain access to list of the album content with a left and right tilt. Samsung Galaxy Round is first available in Korea for around $1013 on October 10, 2013 and there is no word about releasing in other countries. It comes in Luxury Brown and more colors will be available soon.